Professor Frank S. Ravitch is the Walter H. Stowers Chair in Law and Religion, and Director of the Kyoto, Japan Program at the Michigan State University College of Law. He is the author of several books, numerous law review articles, essays, book reviews, and book chapters, as well as amicus briefs to the U.S. Supreme Court. He is the author of Freedom’s Edge: Religious Freedom, Sexual Freedom, and the Future of America (Cambridge University Press, forthcoming September, 2016); Marketing Creation: The Law and Intelligent Design (Cambridge University Press 2012), Masters of Illusion: The Supreme Court and the Religion Clauses (NYU Press 2007); Law and Religion: Cases, Materials, and Readings (West 2004)(2nd Ed. 2008) (3rd Ed. 2015 with Larry Cata Backer), School Prayer and Discrimination: The Civil Rights of Religious Minorities and Dissenters (Northeastern University Press, 1999 & paperback edition 2001). He is co-author, with the late Boris Bittker and with Scott Idleman, of the first comprehensive treatise on Law and Religion in more than one hundred years, Religion and the State in American Law (Cambridge University Press 2015) (this project was supported by a generous grant from the Lilly Endowment). He is also co-author of, Employment Discrimination Law (Prentice Hall, 2005) (with Pamela Sumners and Janis McDonald). 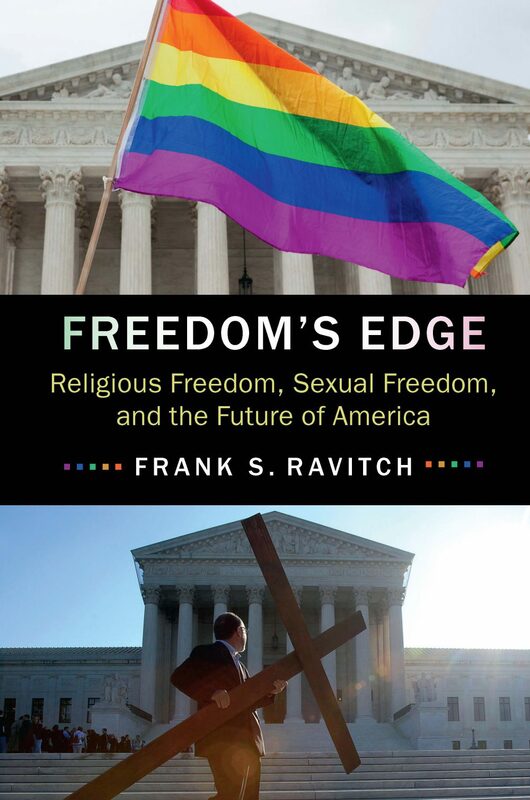 Professor Ravitch’s articles, which have appeared in a number of highly regarded journals, have primarily focused on law and religion in the U.S. and Japan, but he has also written about civil rights law and disability discrimination. He has given numerous academic presentations nationally and internationally. In 2001, he was named a Fulbright scholar and served on the law faculty at Doshisha University (Japan), where he taught courses relating to U.S. constitutional law and law and religion. He serves on a Fulbright Review Committee under the auspices of the Council for the International Exchange of Scholars. Professor Ravitch has made dozens of public presentations explaining the law before school groups, community groups, and service clubs and has served as an expert commentator for print and broadcast media. He speaks English, Japanese and Hebrew.